Picture this, me, in the photo pit, getting sweat on by the man, the myth, the legend, Ivan Moody. Yes, I was that close. Let me tell you, it is really hard to focus on getting good pictures when you are absolutely as close as you can be to a phenomenal band like Five Finger Death Punch. Yes, you got me, I fangurled for a moment there, having direct eye contact with Chris, Ivan, and Jason – it was impossible to not fangurl. 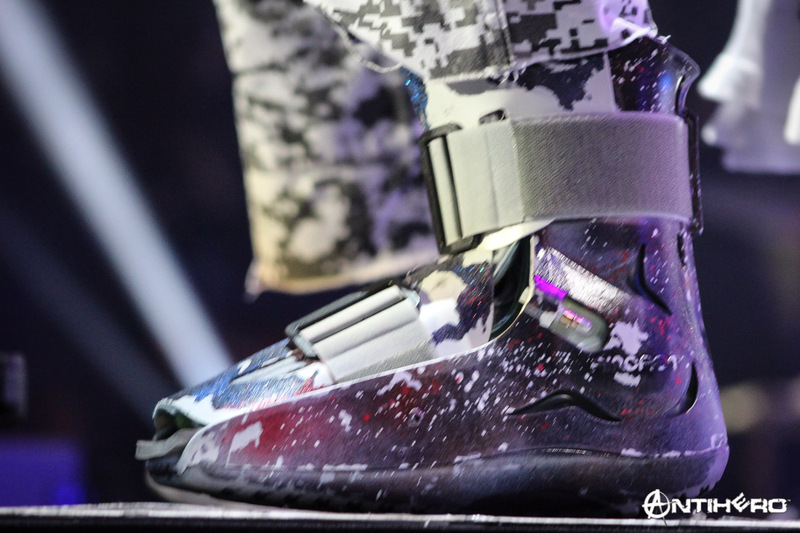 I was so frantic to capture the best pictures possible and enjoy the music, I was kind of in a trance, so when I finally looked at Ivan Moody’s feet, I felt like a dummy. I had totally forgotten Moody had a broken hoof. By the way, Moody was running from side to side of the stage, jumping up on platforms – there is no way a person would ever think he was injured at all. I realized later that Moody had a cane with him at certain times, but I think that was more for appearances because it was a really badass cane! Moody sang with such clarity and fire, that if he was in any pain from the fracture in his foot, he hides it well. Most people with a break as severe as the one he sustained would have to rest every fifteen minutes or so after being on that foot, not Moody. I am absolutely sure he did not sit at all the entire set, he went off stage to change shirts, and get water, but other than that, Ivan remained steadfast. I want to veer off the subject of his foot for a moment to share with you all what I witness at the Resch Center in Green Bay, Wisconsin on November 24th, 2018. I had gone up into one of the nosebleed sections that was on the side of the stage to sit for a minute half-way through the show. I was still getting amazeballs pictures of all the guys in the band when I heard a scream from a row over from me. A fan had fallen down and injured herself to the point that she had to be back boarded and stretchered to a waiting ambulance. It was total chaos and traumatizing for all of us that were so close. Ivan Moody immediately stopped the show to ask what was going on. Over the P.A. system, he growled, “Are any of you Medically Trained, if not, please move out of the way so we can get her the help she needs.” Ivan continued to delay the show until the injured person was on the stretcher and on the way to the ambulance. I heard the next day from a security guard that was on the scene that Ivan asked about the injured person up until he had to leave for the next tour stop. So, all you Ivan nay-sayers, please stop and remember this story before you so quickly want to believe all the “Ivan Moody is the bad guy” stories. I witnessed his genuine concern first hand. 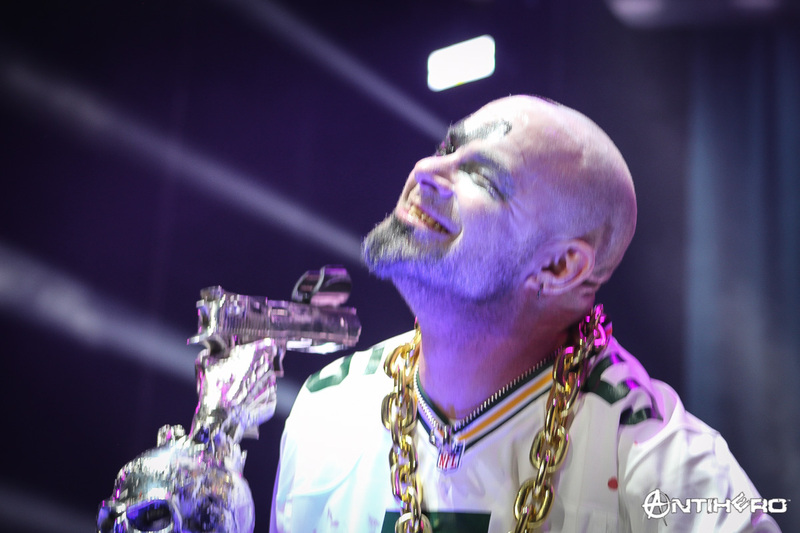 No matter if you love or hate Ivan Moody of Five Finger Death Punch, it is safe to say you have to respect his commitment to his fans.